Our Phoenix & Tucson Accident Attorneys are Here for the Victims of Auto Crashes in Arizona. 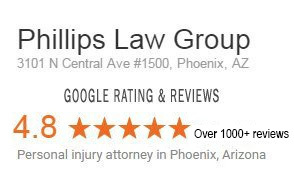 As one of Arizona’s largest consumer law firms, Phillips Law Group provides free consultations to all injury victims interested in learning more about their legal options. Our personal injury lawyers also work on a contingency fee basis, which means we do not charge any upfront fees and only require payment if we recover compensation on your behalf. There is no risk in contacting our firm to learn more about how we can help you. For a free legal consultation, call or text 1-800-706-3000. With decades of experience practicing law in Arizona, our personal injury lawyers are accomplished in helping those who have been injured in an Arizona car accident, truck crash or motorcycle collision, along with those who have suffered injuries at work, from medical malpractice, in a slip and fall accident, or because of a defective product. We are also dedicated to fighting for the rights of employees who have experienced discrimination, overtime wage disputes and other employment issues. Together, our team has recovered hundreds of millions in compensation for injury victims throughout Arizona, including $23 million in a defective product case involving the rheumatoid arthritis drug Vioxx. We have also obtained tens of millions in combined compensation for victims of motorcycle accidents, car accidents, slip and fall accidents, and medical malpractice. We are all licensed to practice law in the state of Arizona and are well-versed in the many personal injury laws and regulations that apply to various types of injury cases. 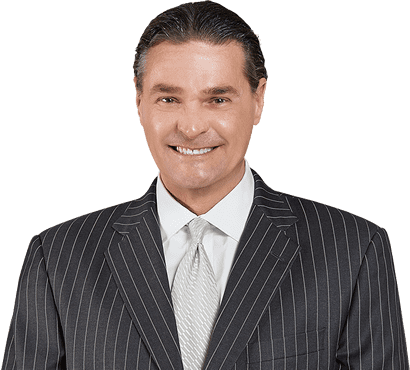 Founding partner Jeffrey Phillips has received the distinction as one of the “Best Attorneys in America” and has been invited to the Top 100 Trial Lawyers from the National Trial Lawyers Association for several years. Many of our injury attorneys are also active members of the Arizona Association for Justice. All of our Phoenix personal injury attorneys dedicate their practice to helping those who have been injured in various types of personal injury cases. We are committed to providing you with the highest quality legal services. We will keep you informed throughout the legal process so you know what to expect. We will also review the forms of compensation you may be entitled and explain your rights. The legal process can be extremely complicated and difficult to manage on your own, particularly when you are recovering from an injury and may be unable to work to support yourself and your family. This is why you could greatly benefit from working with a trusted attorney. Click to contact our injury lawyers today. If you believe that you have a personal injury case, it is in your best interest to work with a trusted personal injury lawyer in Arizona who has experience handling your type of case. Our attorneys have a strong record of success, and will guide you through every step of the claims process, from filing a claim with the insurance company to helping you file a lawsuit if necessary. This way you have more time to focus on recovering from your injuries and damages. However, it is important to know that there are time limits for filing personal injury lawsuits in Arizona. These limits are known as statutes of limitations. In general, most personal injury lawsuits in the state must be filed within two years from the date of the accident or injury. Although two years may seem like a long time, this does not leave much time for investigating your accident, building your case and negotiating with the insurance company. For this reason, it is vital that you contact our trusted accident attorneys as soon as possible after sustaining an injury. If you wait, we will have less time to build a case and it could be much more difficult to obtain the fair compensation you deserve. While we have many offices throughout Arizona, our main office is located in the Central Avenue Corridor in Midtown, Phoenix, near Park Central Mall and St. Joseph’s Hospital. If you cannot come to our office, we gladly make house calls and hospital visits if requested. 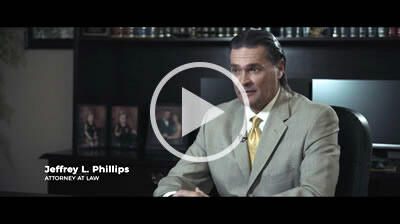 Contact the personal injury lawyers at Phillips Law Group today to schedule a free, no obligation consultation. We work on a contingency fee basis and will not charge for our services unless you obtain compensation first. This means there is no risk to you in contacting us to review your situation to find out how we may be able to help you. We have worked with many victims of personal injuries and understand how devastating they can be to not only your physical health but also your finances. We know compensation cannot change what happened, but it can go a long way toward helping victims move forward with their lives, physically, financially and emotionally.